HTC U11, one of the most anticipated Android phones in 2014, was finally available for public last month. The HTC flagship device draws 23% if its user base from iPhone within a month since its release according to a CNET new report. As a current iPhone and Android user, I'd say it's not an easy move from iOS to Android, especially at the early stage of the switch. In the following section, I will share some prior experience to help people more comfortable with the transition. One of the first things to do when you got the new device is to import iPhone contacts to the new one to make its workable. This would be very easy with iTunes or iCloud if you upgraded from iPhone 5 to iPhone 5S. Everything will be done smoothly when signing in with the same Apple ID. However, it tends to be more complicated for changing from iOS to Android as they are totally irrelevant mobile platforms. The good news is that there are a few solutions already accessible online to help you get the job done in a very simple manner. 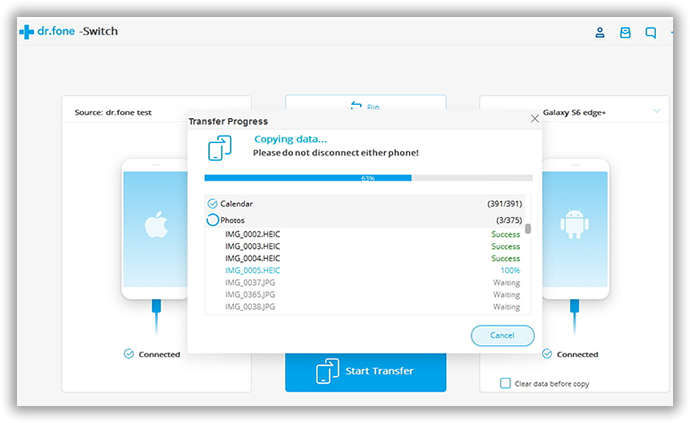 Androidsoft Phone to Phone Transfer is a powerful yet easy-to-use program designed for users who changed their mobile phones at a regular peace. There is no additional work involved in the entire transfer process, all of the dirty work are done in background with the software. 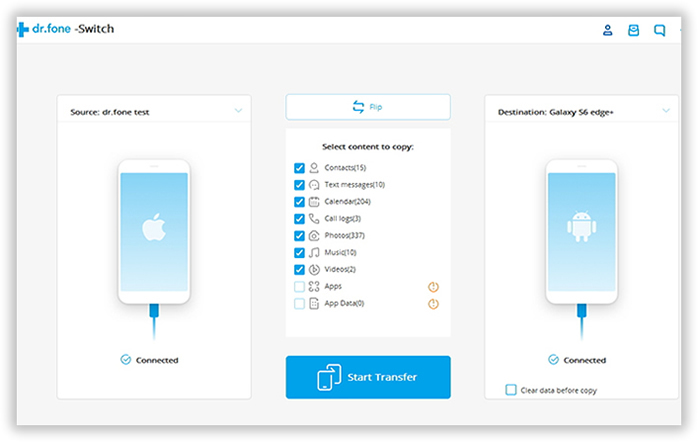 In addition to contacts, text messages, photos and media files can be also transferred in conjunction, which makes the transferring straightforward. iPhone: iPhone SE, iPhone 6S Plus/ iPhone 6S, iPhone 6 Plus/ iPhone 6/, iPhone 5S/iPhone 5 and iPhone 4S. Supported HTC Devices: HTC U11, HTC One 10, One M9/M8/M7/A9/E8/Remix, Desire 626, Desire EYE. Step 1 Install HTC One M8 USB driver. In most cases, the USB driver will be installed automatically when the device is first attached to a computer, no matter it's a Windows PC or a Mac. If the step failed, then visit this link to direct download and install the driver. Install and launch the program, You can get the main window like below. Note: Please make sure you have iTunes on your computer in advanced. If not, this program will inform you to install it. Plug both devices to the computer via the propertied USB cable. When the devices are well recognized by the computer, then the device's name will be found in file explorer. Download the software from above links and install the software on the computer by following the built-in wizard after downloading is completed. Double click the desktop shortcut to open the software, then click Switch button to proceed to next step. It takes a few minutes to detect the devices by the software. Then it will scan the contacts stored on the old iPhone, and list the total number of contacts found out. Make sure the iPhone marked as source device, which means it's the original phone from the start. Flip the position if they are wrongly named. Check Contacts item from the displayed list and click Start Transfer to start the transfer process. Make other items if you also want them to be transferred to the new phone. A few minutes later, all of the contacts should be shown on the HTC One M8. Pretty simple, right? This is the reason that I prefer this way among others. Although there are other ways to get this job done, like with iTunes, iCloud or some apps, the above example is the earliest way I tried before. No matter you are a complete novice, or a tech guru. With this powerful Phone to Phone Transfer software in hand, you don't need to worry about this anymore. All of the transition will be well taken cared under the help of Phone to Phone Trans. 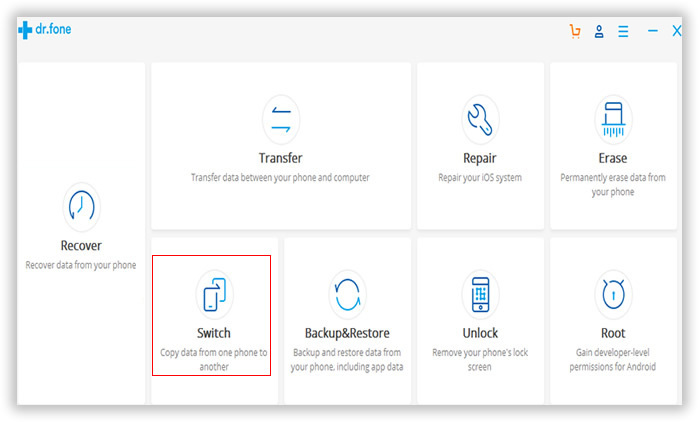 Besides file transfer, the software is also capable of backing up phone content to the computer, and then you can restore them when needed afterwards within the same program.